It might mean the salvation of this world…. 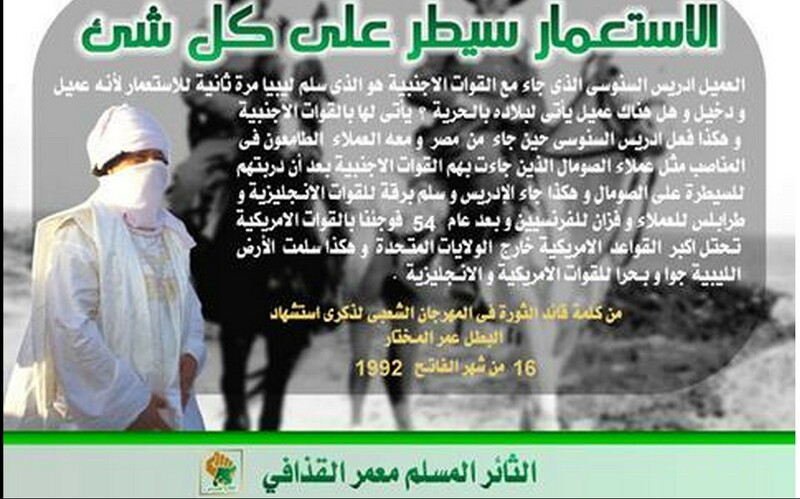 al-Haji Abdullah Abdulaziz al-Ziana from Yemen, addresses a letter to the Libyan people. “Say Amen .. Great back and turn Algaaben .. why lose hope ? poem splendor of the most fabulous beloved dr. Hamza Thami performance ..
and their gangs of KHARIJITES…. the General Staff Chief of all Operations. It is considered now ONE LIBYAN ARMY. A number of cities and tribes Libyan, announce their withdrawal from the ‘Supreme Council of the tribes’..and they are demanding the re-structuring of the formation of the ‘Supreme Council of the Libyan tribes and cities’. from ‘the Supreme Council of The Libyan tribes and cities’. Sheikhs and notables ‘Tribe of Ma’dan’, and the sheikhs and notables of the ‘Tribe Khuwailed’ at Zaltan, announce their withdrawal from the ‘Supreme Council of the Libyan tribes and cities’. Sheikhs and notables tribes of Tarhouna announce their withdrawal from the ‘Supreme Council of The Libyan tribes and cities’. Deviation of the Council for the purpose and goal, which was established for him, where he had specific targets on 05/05/2011. But recently began to exploit the name of the Council, including the use of the tribal name with the Libyan Army, during the “Airport War”, when the Zintan Brigades fought the Tripoli-MISURATA Brotherhood Militias, and was forced into a ‘treaty’ which was immediately broken by the Brotherhood Militias, who not only took the Airport from the Libyan Army, but all of TRIPOLI (setting-up their own Brotherhood controlled ‘government’). join him, and all the other forces who do NOT endorse NATO or the ‘Muslim’ Brotherhood. 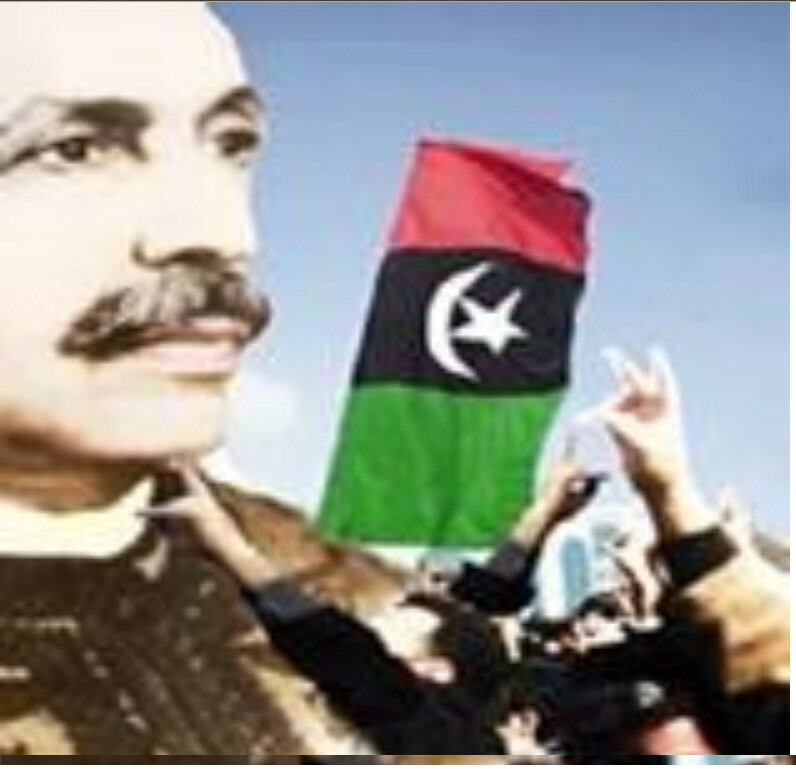 This is contrary to what was established by ‘the tribes and cities Council’ (who stand only for a GREAT JAMAHIRIYA) apart from the Military Council of the Tribes and Cities (who endorse the ‘MAJLIS al-Nuwaab’ government at Tobruk and Casablanca under Abdullah Thani bending). led by General Omar Tntosh), to achieve the goals which were deviated by the Board path. Disagreement between the ‘organization DAASH’ (the Islamic state) and “Al Qaeda” in Libya on the recent postponement of allegiance to Baghdadi, and warns of a sheikhs “state” of clashes between the two, as what has occured in Syria and Iraq ..
and they have been monitored by continuous monitoring. Noted the same sources, that this information, which is monitored by the elements deployed in the capital, comes at a time when feelings of fear increase with Libyans, on the remainder of their wealth and their money, and their assets ,especially what is still present in the ‘Central Bank of Libya’ in Tripoli, of a strategic stockpile of different currencies, bonds and bank gold bullion and precious silver . Libyan intelligence sources said the fear that the organization “Daash” has been robbing on this stock, as happened in the Iraqi city of Mosul, when the armed groups of this organization robbed banks and looted the city’s funds and balances, to finance terrorist operations at home and abroad. We stressed that, what is happening today in Libya, is not far from where it sees militias ‘Dawn Libya’ and armed gangs and militias Wahabi, are all allied in hijacking commercial banks. and also, as happened by the robbery on the banks of the city of Sirte, which looted of all of its assets. Science forbidden insult and allows Blstm ..
Aderlha Munchen in the Post .. Antalegowoo ..
يديرلها منشن في البوست .. انطلقوووو ..
Congestion and queuing for hours to reach more than 22 hours a deplorable condition of the passengers and the sick and the exchange rate this morning by price shops Ben Ghardane 100 LD 101 Tunisian dinars. Fierce fighting south corner WWDC Melcaat ‘Roma Libya’ B. al-Hauser. but, they continuously provide for their armed forces in western Libya. Please keep in mind Juta. and the name was changed to the ‘battalion martyr Hamza’ … !!! The face and in the rest of the body, in the Tajoura area. and the required two million dinars exchange for his release. of three prisoners causing internal bleeding from the impact of this torture. Oqnacio Skravli, two days after entering Tripoli through the city of Misurata. in front of the clinic after he left to make a phone call. (who was taken to a hospital). Ministry of Health at the hands of unidentified gunmen in the capital Tripoli. Hospital CORNER, receives 3 dead from the front of Bir al-Ghanum. of the center of the corner, led by Maj. Gen. Al-Azizia Amr Tntosh. Rishvana in the Tine region, including ‘Tuibih’ families. Amr_tntosh military preparations to enter al-Azizia. Video of the landing of an aircraft type ‘Airbus A320’ at Zintan Airport. Arrived to hospital of Zintan shortly before, 13 bodies of members belonging to the militia ‘Roma Libya’ and believed to be members of the City of Misurata, where Dart today fierce battles in which The Libyan Army targeted militias of ‘Roma Libya’ mechanisms, including a BMB vehicle. In each vehicle, the occupants were killed. Strong battles waged by the LIBYAN ARMY, south of the city of Surman. Battles strong now south of the city of Surman. of Ajeelat and Beautiful City. who was a component of militias ‘Roma Libya’. Melcaat ‘Roma Libya’ seized last night, several schools. and turned them into their ‘military headquarters’. They set-up snipers over the rooftops, in an attempt to move the battle inside the city, after the losses they had received in the desert areas, and their inability to advance to Wattaya Air-Base. Violent clashes west of Ajeelat. the Libyan Army, and militias ‘Roma Libya’. The unfortunate displacement of some residents of the Suenyh area, as a result of these clashes. of the ‘Roma Melcaat Libya’, southwest of Ajeelat. strong battles in Zlana, south of Ajeelat. 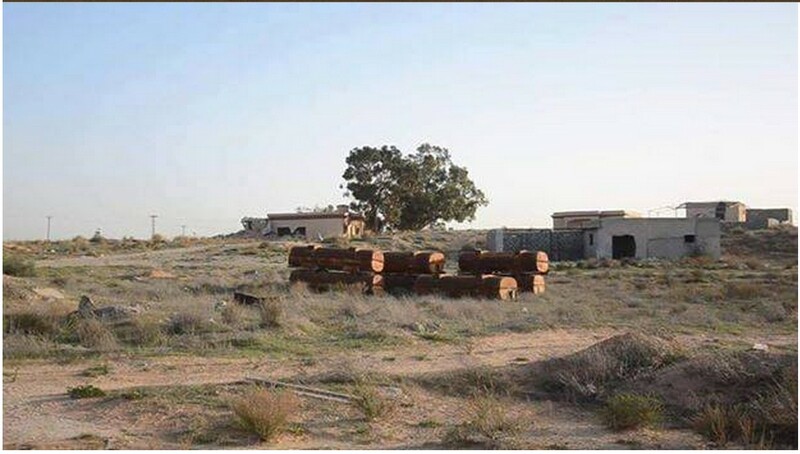 Photos show the complete control of the camp or Shuyesheh by the LIBYAN ARMY. The killing of five members of the militia ‘Roma Libya’ at the hands of the LIBYAN ARMY, south of the city of Ajeelat. within the center of a convoy, and killed 13 inventory. LIBYAN ARMY forces are focused Misurata militia ambush south axis Ajeelat; and destroy 4 mechanics and kill 30 people from Misurata ‘Roma Libya’ militias (and dozens injured). at the center of Sabratha . Inventory injury (Ali al-Kuadera), one of the militia leaders of ‘Western Armor Brotherhood Shields’ in the center of Sabratha. 5 deaths from the city of Misurata in today’s battles in the Western Region. about the so-called ‘call for dialogue at Geneva Post’. brawl between Sowaihilli and other militias. and transferred to the Air Force Academy in Misurata, as a ‘detainee’. since the descent of the Libyan army in Benghazi ..
Tobruk, Benghazi and other cities and villages, cities. while returning from the city of Misurata. hospital and died in the emergency room. That God and him Rjon. to the Ibn Sina hospital, were found shot dead by DAASH assassins on Dubai Street. 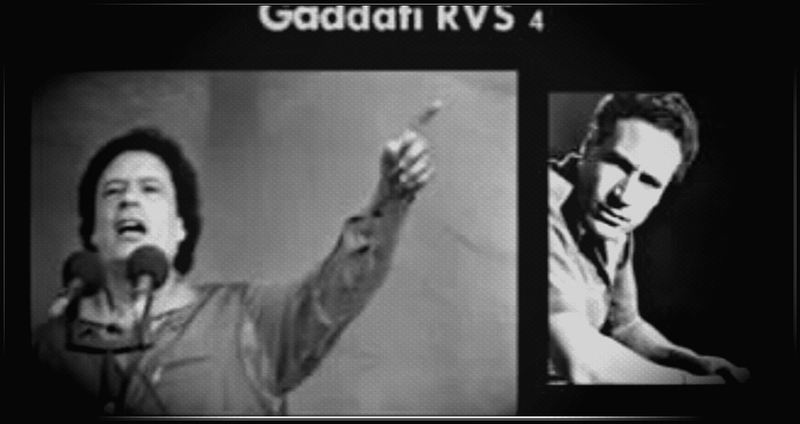 They were both on the notorious DAASH ‘hit-list’, published a while back. by the terrorist organization Daash. and there is violent bombardment by ‘Roma Libya’. and, at 11 o’clock at night, near the bombed oil storage tanks, with about 6 other missiles. Thankfully there is little injuries. in an isolated place called Belkrb in Ras Lanauf. in the city of Srtoduahaha, near Bin Jawad. the soldiers stationed at the Crescent Oil. Crescent mediated by a number of tribal elders and the Libyan Red Crescent Society. Even in the most difficult circumstances remain the most important prayer of everything! on its way from Sabha to Ajdabiya was arrested in Oqaila gate. Thanks to Guard Oil Installations. ” ‘white’ revolutionaries of the Shura Council”. Propane cylinder sold in Casablanca for 100 dinars after it was at 2.5 dinars under the ‘Great Jamahiriya’ ! one of the leaders of the Tnzim_alhadh /ANSAR al-SHARIA) in Benghazi. and combing all the houses in the areas controlling it by them and Hawari, Rulrhh, and Garyounes. Snipers of Tnzim al-Hadh (ANSAR al-SHARIA) were caught on al-Botas Street. Found an unidentified body in the area Shebna Bbghaza. God and yes agent (SATAN). The clashes in ‘the project El-Safsfah‘. Hftar’s Libyan Army forces, fight under the legitimate TOBRUK temporary government (MAJIS al-NUWAAB), and have legally siezed the Benghazi Branch of the Central Bank of Libya. USA, and the NYTIMES is against this. They side with the ‘Muslim’ Brotherhood ‘government’ in TRIPOLI (an arm of MISURATA). Their report sides with the BROTHERHOOD HASSI (GOVERNMENT OF SALVATION in TRIPOLI / MISURATA). They call the ‘DAWN LIBYA’ and ‘ROMA LIBYA’ terrorist forces “PRO-GOVERNMENT FORCES” !! and insist on calling Hftar a ‘rogue’ General when he is under the subordination of the Chief of Staff General Abdel Razak Nazdarwi. They are all united in Libya, to rid Libya of the WAHABI / BROTHERHOOD and their gangs of KHARIJITES…. The USA and the NY TIMES (their propaganda sheet for the public) want the Brotherhood to retain control of the BANK, as they have been illegally sending 90% of all the state funds to MISURATA CENTRAL BANK under a fictitious bank account. This is how they have been funding their War and paying their KHARIJITE terrorists. with the continued war in the streets of al-Sabri area. Smoke billowed from one of the houses following clashes within the mosque of Hijaz Street. to review all Turkish and Qatari contracts in Libya. The assassination of three soldiers shortly before the road south of the city of ‘el-Ezzeiat Mechili dome’. 3_ Abdullah Boubacar Messaoud, near the city of Maple Abraq. I am God and to Him we return, we ask God to accept them rest in peace. “a selected university.” The focus of the imam of a pro-regulation. The kidnapping of six people by Misurata gangs in al-Jufra. 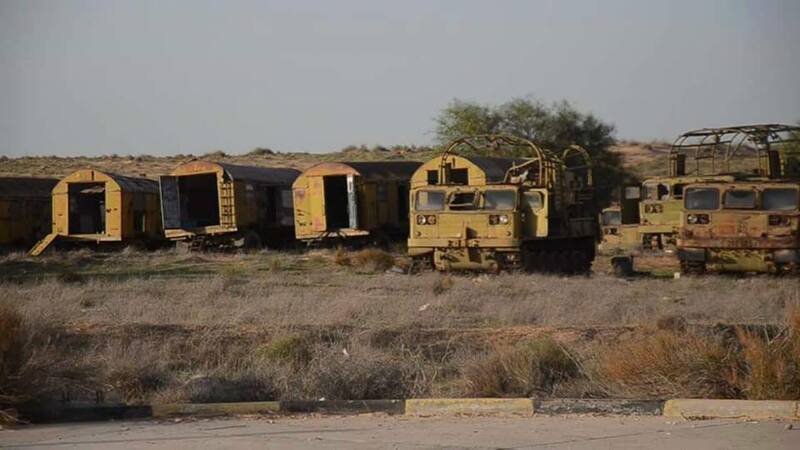 Reports Bthhid battalion obstacle Ibn Nafi area Apunjam approximately 70 armed vehicles and that the attack on the Daash project Allod, who downloaded is abducting members of the citizens of al-Jufra with Militia Misurata. Dogs Fire Amksudain Mesh Galo (GALLEAUX) demonstrations haram. I turn to the mercy of God, one of the men al-Qadhadhfa Tribe …. from the effects of a stroke this morning, in the city of Sabha. ﺍﻟﻠﻪ ﺍﺣﺪ ﺭﺟﺎﻝ ﻗﺒﻴﻠﺔ ﺍﻟﻘﺬﺍﺫﻓﺔ …. son of It Ibrahim Daou who died this morning. Libya news shared channel Tripoli Mermaid ‘s photo. Xanthan against the MISURATA BROTHERHOOD MILITIAS. Sheikhs Aqbilh Ataiwariq from Ubari, are calling for a ceasefire in all axes. Statement elders and wise men and elders languages ​​area. Tuareg declare a cease-fire in the entire South of Libya. and Salman Bin Abdul Aziz Al Saud, his brother, is Saudi Arabia‘s new King ruler. for the Libyan school in Bonn, as a result of financial distress. If West Germany was responsible for damage to Libya’s Pharmaceuticals facility. 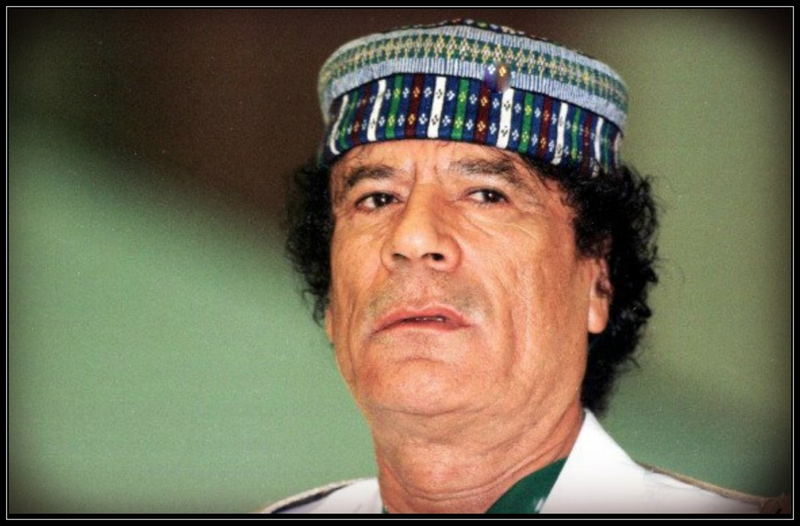 — Libyan leader Muammar al-Qathafi threatened Thursday to impose a blockade on West German manufactured goods, if that country helped to instigate a fire, at a ‘controversial’ Pharmaceuticals plant near Tripoli. He also, angrily denied that Libya had been producing any what-so-ever chemical weapons at the facility. Although al-Qathafi stopped short of directly accusing West Germany of a role in the crippling fire. Hundreds of Libyan demonstrators massed outside the West German Embassy in Tripoli on Thursday, declaring that West German intelligence agents were responsible. Asked whether the plant turned out ‘chemical weapons’, al-Qathafi repeated his country’s denials. al-Qathafi pointedly did not mention the extent of the damage from the Wednesday morning industrial fire at the plant near Rabta, about 60 miles southwest of Tripoli, where U.S. officials of the American CIA, have been spreading the false propaganda that the plant has produced deadly mustard gas and nerve gas ‘since last year’. On Wednesday, the Jana news agency had accused Israel and the United States of sabotaging the plant, but al-Qathafi’s subsequent statement targeted only West Germany. After more than 1,000 Libyan demonstrators marched outside the West German Embassy, a diplomatic source in Tripoli said the Libyans accused West German intelligence agents faking details about the plant’s design to the United States, implying that U.S. agents could then have sabotaged the plant. “If the investigation under way confirms the involvement of West German intelligence in an action inside Libya, the economic presence of Germany will be eliminated from Libya,” al-Qathafi warned. Demonstrators outside the embassy carried signs proclaiming “Germans Are Spies and Liars,” “Germans Out” and “Germany Down, al-Qathafi’s Our Leader,” prompting the Foreign Ministry in Bonn to summon a Libyan diplomat and complain about harassment of West German diplomats. Bonn’s embassy in Tripoli delivered a response denying any complicity in the fire. “The accusation lacks reality, and . . . any suggestion that any German citizen or West German intelligence was involved (is) pure invention,” a Foreign Ministry spokesman said in Bonn. Israel and the United States have also denied any involvement. U.S. officials acknowledged that Israel has both the capability and the motive to destroy the plant but said they had no information to link Israel to the incident. U.S. officials said they have received credible reports that Libyan authorities arrested several suspects Wednesday on suspicion of involvement in the fire. Official Washington reaction, however, was much more neutral. “Aafattah Aaalam …. Aarezag Yakerim …. we became king God, thank God, but the suffering and turn, but God Almighty ! صباااااااح الخير يااااااحباء سيدى القائد معمر القدافى…. Live broadcast of the Great Jamahiriya channel through this link. And an outsider, and is there a client comes to his country’s freedom? Comes with foreign troops. And sea forces and American English. even the photographs were not accepted by the government departments at the time, but if issued by the Italian photographer named (Bracony) until pilgrims Libyans were not accepted papers, but if they come with pictures of this Italian was a farce and any color so long as the independence of colonialism Taliani has dominated everything; and set up five Americans over the ground rules of the Libyan and British also came to occupy the land of Libya. but why was the British and the Americans came because who declared independence and became the king of Libya, but escaped and joined the foreign forces, and even if Libya or had been living in Libya, but he escaped and joined these forces and is on its way to Libya and is not come to Libya in order to edit them, but came to occupy it because the war between Italy and Britain were not in order Libya. and the Allied forces are which was fighting on behalf of the United Nations, which united against Hitler and Mussolini, and is now becoming a sword hanging on behalf of the United Nations, we are asking us to hand over our children and impose fly and we divide Iraq on behalf of the UN and asking not to harass the Israelis on behalf of the United Nations and on behalf of the Palestinians under UN United and punish any country and Amzkunha UN spokeswoman. The UN forces were led by Eisenhower militarily against Italy and against Germany and then said afterwards that these nations will become a global organization, under the banner of working for peace and end the wars and stop the injustice by the state on the Other. so it was our accession to that organization, but they exploited against us, and its name decided to prevent the airline from Libya and it and prevent the purchase of Libya or sell weapons. and may we believe that the United Nations will eliminate the injustice and maintain the right of peoples to small and oppressed peoples? and if it is used against us, and exercise we inequity and injustice and it may be canceled and unjustified presence and pushes peoples small to be out of the United Nations. For this, the day the Conqueror in 1969, is a day of independence the real take it to Libya for the first time, due to her family and her sons. We were amazed by what was the history of Omar Mukhtar Mtmusa before the revolution was a tragedy known to the whole world (where executed Sheikh drastically Age fighting for his country) how to be executed? and he should live the memory of this tragedy every year before Revolution but the Italians ordered the Government of Libya at that time not to talk about the biography of Omar Mukhtar, where it was a disgrace to Italy. و بحرا للقوات الامريكية و الانجليزية . و كنا نظن ان الطليان الذين اعدموا عمر المختار و عذبونا و بهدلونا سيتم طردهم بعد استقلال ليبيا لكننا وجدناهم يمتلكون الارض الليبية و بدءوا يتصرفون فيها و يحولون الارض الزراعية الى ارض للبناء و يبيعونها بالغلاء و ( الكوى ) لليبيين وجدنا الآلاف المؤلفة من الطليان يملكون كل شئ من مصراته الى ترهونة الى الزاوية و طرابلس بالكامل و يسيطرون على الزراعة و الصناعة و المواصلات و التجارة و السياحة و ظل الامر كذلك الى عام 1970 فحتى الصور الشمسية لم تكن تقبلها الدوائر الحكومية حينذاك الا اذا كانت صادرة عن مصور ايطالى يدعى ( براقونى ) حتى الحجاج الليبيون لم تكن تقبل اوراقهم الا اذا جاءوا بالصور من هذا الايطالى كانت مهزلة و اى لون لذلك الاستقلال مادام الاستعمار الطليانى قد سيطر على كل شئ و نصب الامريكيون خمس قواعد فوق الارض الليبية و جاء الانجليز ايضا ليحتلوا الارض الليبية . و لم يخرج الطليان من ليبيا برغم هزيمتهم العسكرية فى اوروبا لكن وجودهم فى ليبيا استمر كاستعمار استيطانى الى ان قامت ثورة الفاتح العظيم و أجبرتهم على الجلاء من ليبيا عام 1970 م لكن لماذا جاء الانجليز و جاء الامريكان لان الذى اعلن الاستقلال و اصبح ملكا على ليبيا لكنه هرب و انضم القوات الاجنبية و حتى لو كان ليبيا أو كان يعيش فى ليبيا لكنه هرب و انضم الى هذه القوات و هى فى طريقها الى ليبيا و هى لم تأت الى ليبيا بهدف تحريرها و لكن جاءت لاحتلالها لان الحرب بين ايطاليا و بريطانيا لم تكن من اجل ليبيا . ان الحرب بين بريطانيا و ايطاليا كانت تجرى فى نطاق الحرب الدائرة بين قوات المحور التى تضم ايطاليا و المانيا و بين قوات الحلفاء التى تضم بريطانيا و امريكا و حتى اليوم مازالت قوات الحلفاء تحتل ايطاليا حيث تحتل القوات الامريكية ايطاليا بالكامل منذ ذلك الوقت و قوات الحلفاء هى التى كانت تقاتل باسم الامم المتحدة التى اتحدت ضد هتلر و موسلينى و هى التى اصبحت الآن سيفا مسلطا علينا باسم الامم المتحدة يطالبوننا بتسليم اولادنا و يفرضون الحظر الجوى علينا و يقسمون العراق باسم الامم المتحدة و يطلبون عدم مضايقة الاسرائيليين باسم الامم المتحدة و يخضعون الفلسطينيين باسم الامم المتحدة و يعاقبون اى بلد و يمزقونها باسم الامم المتحدة . ان قوات الامم المتحدة كان يقودها ايزنهاور عسكريا ضد ايطاليا و ضد المانيا ثم قالوا بعد ذلك ان هذه الامم ستصبح منظمة عالمية تحت شعار العمل من اجل السلام و انهاء الحروب و وقف الظلم من قبل دولة على دولة اخرى لذلك كان انضمامنا الى تلك المنظمة الا انهم استغلوها ضدنا و باسمها قرروا منع الطيران من ليبيا و اليها و منع شراء ليبيا او بيعها الاسلحة و قد كنا نعتقد ان الامم المتحدة ستقضى على الظلم و الجور و تحافظ على حق الشعوب الصغيرة و الشعوب المظلومة و اذا بها تستخدم ضدنا و تمارس علينا الجور و الظلم و ذلك قد يلغى مبرر و جودها و يدفع بالشعوب الصغيرة الى ان تخرج من الامم المتحدة . Mu’ammar al-Qathafi in 2010 eats with (and feeds) Hannibal’s children. The martyrs of the nation of the Army of the Tribes, they saw and responded to the call home.. Heroes of tribe # metal Mujahid said. God bless the heroes and ask God to grant them paradise. which has been the very mechanism through which these terror organizations have flourished. Today, thanks to NATO action in Libya, terrorists are taking selfies with the planes they captured. They now hold a list of aircraft with flight ranges (in nautical miles, or nm) that make it possible to reach London, Paris, Washington DC, and New York City: Airbus 319s (3,700 nm), Airbus 320s (3,300 nm), Airbus 330s (4,000-7,000 nm), and one Airbus 340 (7,900 nm). Delegates from 28 countries are now meeting in Wales to hear NATO‘s plan for aggressively responding to Russia. Since there is no evidence that NATO learned anything from its misadventure in Libya, the world community should give pause when this unaccountable organization prepares to lead it into another conflict. and the city’s public hospital, suffering from a severe shortage of fuel. Your place and the security situation have. Warplanes just above the equestrian. Libyan Air Force fighter jets launched air raids. and in the mean-time, transfer some prisoners to site college girls Erga Al-Tameyeaiem. The start of a BROTHERHOOD campaign of mass arrests in Tripoli today beginning with employees of the Ministry of Interior of the organizers of Zintan Brigades targeting the number of “Trabelsi’s 7000 Lightning and QaaQa”, first. and who holds the arrested ? Mohammed Baao, one of the BROTHERHOOD SHIELD militia leaders of MISURATA, whose son and cousin just recently were killed in the BROTHERHOOD TRIPOLI fighting. He is shown here with Abdul-Rahman Sowaihilli. Connections from some sheikhs tribes corner of the non-jihadi-WAHABI. of the criminals, armor SHIELD militias. They paid the price. for Amazigh landed at the forefront of them die the death of launching our bendir Behm! تم رصد مكالمة للمهندس الباشا ﻷفندى السفاح المجرم صلاح بادى ويقول فى نص المكالمة حط ﻷمازيغ فى المقدمة لموت يموت منهم شن عندنا بندير بيهم ! EVIL Plan for GAS to dangerously spread upon ZINTAN and the Mountain TRIBES ! and are now moving out on the road mentioned above, in order to Execution great scheme Jaddaaa Jaddaaa a Tzmir gas lines near the mountain and near the stationing army. First intended the charge army that is from the Ptzmir lines and Tanya hit Zintan and allied tribes. and the owners of belief expiatory disguised cloak of religion, they curse and finally Íaansar informed of the great evil. That God is with us, and we are with you (ZINTAN & the LIBYAN TRIBES) in every step. There is an urgent set of al-Qaeda and supporters of evil transfer of explosives to Zorh lines for gas under the mountain to blow up gas lines and power charge Kabylia Bdlk Hdalkhtoot and is the source for Risi station Mellita RBI Asalam country al-Arhbeyen. Soon a group of Al-Qaeda and supporters of the evil transfer of false information to the lines for gas under the mountain of blow up gas lines and power of Kabylie could face up to wehdalkhtot is the main station of yslam educated Mellita al-Arhbeyen. 1) taking fight to the Western Mountains, in order to lock on the road and cut through the Zintan military supplies, which are presented to the tribal forces in and up to Rishvana. and retains its full commitment towards the truce, and this is his good deeds, which picked him to Zintan some fruits which matured immediately, and went to the obedientce…. 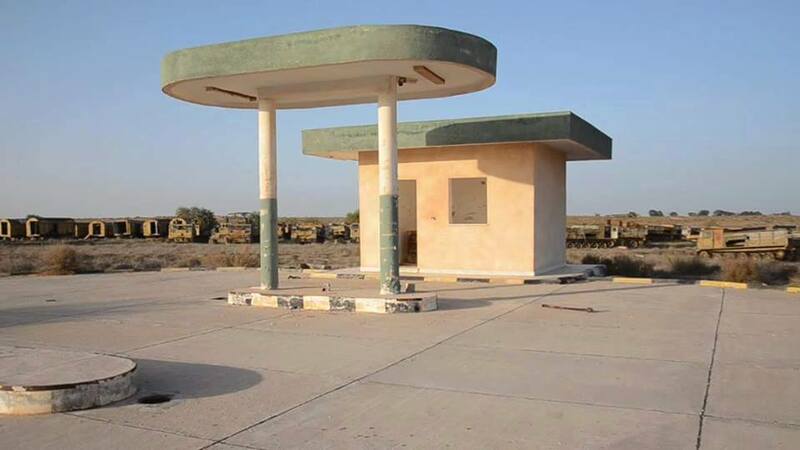 So the coming days we will see the beginning of the battles waged by MB militias Gharyan against Zintan, a door which will enter them forces (SALAH BADI), ‘stuffed’ lion and MB shields for these battles Flantaba. Zintan and ashes, and this ofcourse because of their stubbornness and Anthm. Soon the Brotherhood will prevent weapons going into the hands of the LIBYAN tribes. They monitor events coming together. the deadliest attack since the siege two months ago. 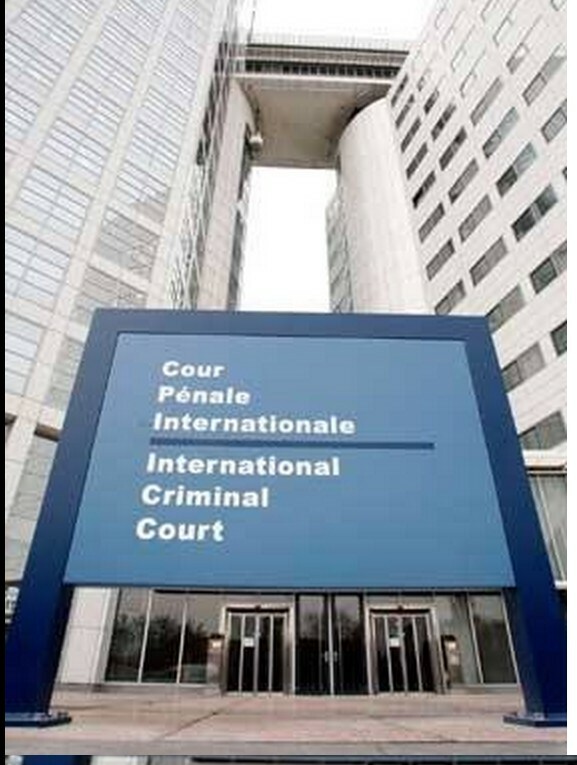 Ordered the arrest of the criminal militia Shield of Western New Chribich Ali at the center of the globe and Kerkozh. and now Ttstr epics and their dead and their captives wholesale sweeping attack from all sides ..
Now again, Violent clashes between the men of Rishvana against the Kharijites in Kerkozh. and kill Alcimafro point and escape the Brotherhood shields; BUT now they attacking again on the Kerkozh 3-axis. Our own sources documented the killing of more than 392 people and injured more than 867 people from terrorist militia members from each of the axes, including 31 field commander and the killing of most of the leaders of the Western Shield Brigade. and there are generator, fearing for their corpses from rotting; and out of respect for the sanctity of the bodies and which refuses to gangs Brotherhood and their shields to do likewise. The villainous exchange, of decayed bodies, delivered to the Rishvana people for honoring her burial, and declared the leaders in Rishvana, that these deceased were innocent before God and before the people, (which cares less these criminals). According to sources, the attack on their intention and Rishvana areas of the south and south-east, in coordination with gangs and Gharyan militia Salah al-Mirghani ..
We hope Asabah are free and are free al-Rgiat Bedouins are free; and do not allow them to use their land and to monitor their every movement ..
numbers next to the Libyan army fighting for the dignity of # homeland. Apache helicopters in Zintan now ….. !!!! In June 2012 was kidnapped Solomon Dogh and after his release, said that a MB battalion of Misrata arrested him and humiliate him and torture in the Military College for Girls in Tripoli. 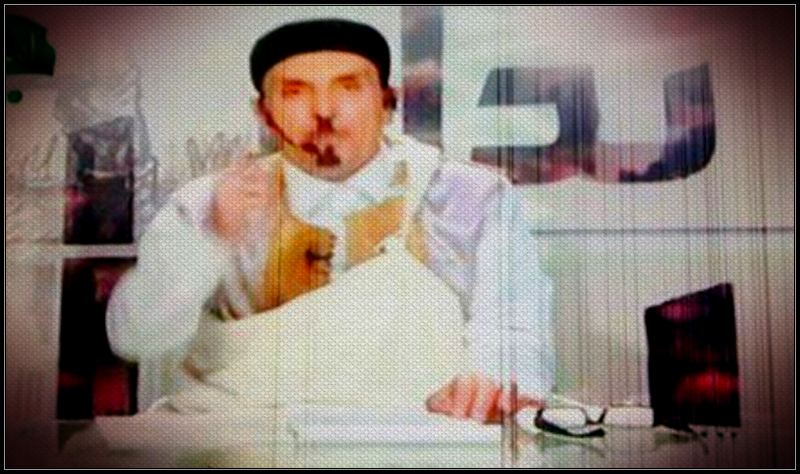 The grocer it because his statements about Misrata during a conference of the Amazigh in Gado ..
Suleiman Dogh completely disappeared from the political scene and the media and stop any statement or critique any party whatsoever … Some unconfirmed sources say he has been filming a video in appalling conditions ..
Second day kidnapped after leaving a restaurant in Gargaresh. (Funny that during his arrest, one of them took out his card and said Look, I followed a “Qaqaa” in Mitigua) ..
and of course Aalghemati said “Qaqaa” who are abducted by building on the card and not the place of detention. After his release … F Aalghemati disappeared from the political arena and stop any statements against any party .. and said he was filming a video improper him .. Frankly, this mesh Aalghemati who Narafoh …. The House of Representatives rejects figs exit from the presidency of the government ..
On Monday, 15 September was a special envoy of the German government Clemenz Gotsh Treaty and Germany’s ambassador in Libya Christian Much in Misrata; and Daru meeting local council deputies and Misrata have been put forward some solutions ..
Then the German envoy traveled to Tobruk and with him in private plane with Ali Zaidane ..
German envoy met with members of House of Representatives …. Yesterday evening, the news says that the “House of Representatives” refused to “bending” assortment of government ..
في يونيو 2012 تم اختطاف سليمان دوغة وبعد اطلاق سراحه صرح ان كتيبة من مصراتة قامت باعتقاله واهانته وتعذيبه في الكلية العسكرية للبنات بطرابلس. وبقال انها بسبب تصريحات له عن مصراتة خلال مؤتمر للامازيغ في جادو ..
سليمان دوغة اختفى تماما عن المشهد السياسي والاعلامي وتوقف عن اي تصريح او نقد لاي جهة كانت … بعض المصادر الغير مؤكدة تقول انه تم تصوير فيديو له في اوضاع مشينة ..
(المضحك انه اثناء اعتقاله اخرج له احدهم بطاقته وقاله شوف انا تبع القعقاع وهو في معيتيقة) .. وطبعا القماطي قال ان القعقاع هم اللي اختطفوه بناء على البطاقة وليس مكان الاعتقال . بعد اطلاق سراحه … اختفى جمعة القماطي عن الساحة السياسية وتوقف عن اي تصريحات ضد اي جهة .. ويقال انه تم تصوير فيديو غير لائق له ..
بصراحة هذا مش القماطي اللي نعرفوه …. البرلمان رافض خروج التني من رئاسة الحكومة ..
يوم الاثنين 15 سبتمبر كان المبعوث الخاص للحكومة الالمانية كليمانز غوتسه ومعاه سفير المانيا في ليبيا كريستيان موخ في مصراتة ودارو اجتماع بالمجلس المحلي ونواب مصراتة وتم طرح بعض الحلول ..
بعدها سافر المبعوث الالماني لطبرق ومعاه في الطائرة الخاصة علي زيدان ..
اجتمع المبعوث الالماني مع اعضاء من البرلمان …. امس مساء فيه اخبار تقول ان النواب رفضوا تشكيلة الثني الحكومية ..
Is There Anything Truthful Out of the Obama Administration? In the desire to find “brotherly love” with the ‘Muslim’ Brotherhood as well as other known extreme Islamic and Jihadists around the world we get this from “Der Leader’s” administration. Page said the ‘Muslim’ Brotherhood in aviation intelligence Baiqcef Misrata port and airport Mitigua. Shame on you sweetie Wayne Aaakhunjah Misrata bombardment launched Haalohaat tendentious. Misrata Library opens smart in the Faculty of Medicine Al-Jdbdh in Misrata today .. Important in al-Harboa favorites in Tripoli and even plain Admrt Mesh problem .. Harvest of Benghazi today assassinations. 8 / assassination attempt of the media and Bo Sim Pin. that the deceased, was preparing to travel tomorrow to spend pilgimage at the Hajj. The “Ministry of Foreign Affairs and international cooperation” issued a statement calling the staff, of which the following are not proverbs for any orders, other than the legitimate institutions of House of Representatives of the interim Government. al-Mgarhh and al-Husaona and al-Mazfah and Zintan intervene to end the crisis between the Tuareg and Tabou. Met reconciliation committees consisting of tribes and al-Mgarhh al-husaona and Zintan and al-Qmazfah, on Sunday morning, with the chieftains and the Tuareg tribe of Tabou in al-Qaarat area, about 20 km from the city of Ubari south of the country. And conferees discussed possible solutions to end the problems that were renewed a few days ago between the sons of the Tuareg and Tabou tribes and left a number of dead and wounded.